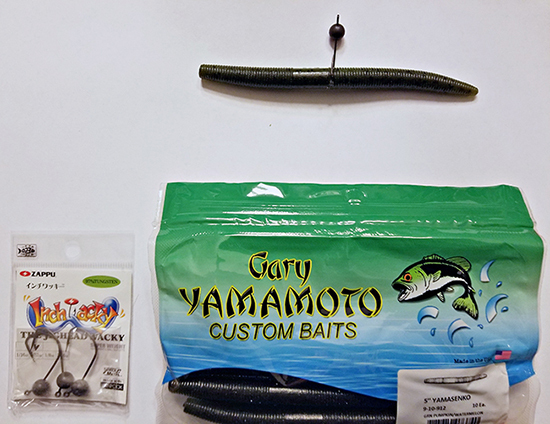 “The 5-inch Yamamoto Senko is the most versatile bait ever designed,” said Michael Hall. “It will catch bass anywhere. You can adapt the presentation in many ways to match the mood of the fish.” Strong words? Perhaps, but in this case you need to only consider the source. Michael Hall has a long and successful history with the Senko. Long before he became a member of the Yamamoto National Fishing Team, Hall was a strong proponent of the Senko. In 2002, the Senko played a key role in his season including his qualification into the BASS Tour, the predecessor to the Elite Series. A few years later in 2005, Hall captured the top prize at the Potomac River FLW EverStart again on the strength of the Senko. 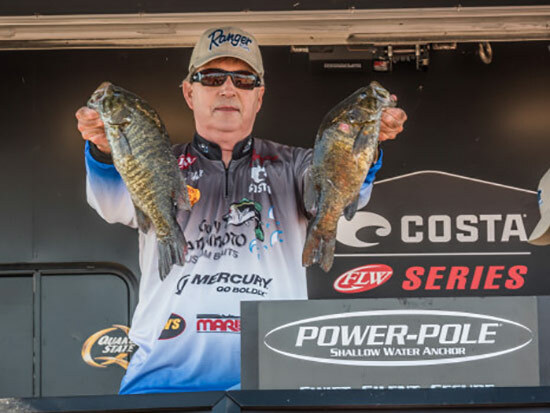 Today, Hall is a competitor in FLW Tournament events and one of the top guides on the Potomac River. He has fished all over the country with the FLW Tour. Whether it be Pickwick, Kentucky Lake or down in Florida at Lake Toho or up in New York at Lake Champlain, the Senko continues to play an important role in his fishing career. For followers of the Inside Line, Hall shares his “Big Three” rigging configurations that are certain to add to your own Senko success. When the water is at its coldest, Hall will drag the Senko very slowly on the bottom. This approach requires a lot of patience but is very effective when the fish are inactive and holding tight to the bottom. Hall also relies on the weighted hook configuration when windy conditions make it difficult to fish a standard weightless wacky Senko or when strong current is present in places like the Detroit River or the TVA Lakes. A 5” Texas-rigged Senko is an important tool to have in your arsenal when targeting submerged grass. Hall recommends Texas rigging the 5” Senko with a sliding 3/16oz tungsten worm weight combined with a 4/0 Gamakatsu Offset Worm Hook. He has found this rig to be exceptional around hydrilla in areas where the grass is too thick for the wacky rig to be effective. While Hall will employ this technique year round, he favors it starting in the pre-spawn period when the fish begin to stage in the hydrilla and will stay with it until the end of the summer. The Yamamoto Pro provided some valuable insight as it pertains to color selection. Anytime he is faced with clear water conditions, he relies on a green pumpkin/watermelon laminate Senko (#912). For Florida waters like Toho or Okeechobee, he recommends black with blue flake (021) or watermelon with black and red flake (#208). On his home waters of the Potomac River, fading watermelon with purple flake (#329) has served him well over the years. If pressed to pick just one color, Hall would opt for green pumpkin with black flake (#297). His combo of choice is a 6’6” heavy action Grandt All American Pro Spinning Rod matched to a Lews TLC 2000 reel. When it comes to line, Hall spools up with 14lb Moss Green Gamma copolymer for its castability, strength and invisibility. If you find yourself in the Washington DC Area and would like your own personal Potomac River Senko seminar, make sure you give Hall a call. He can be reached at 571-236-1918 or visit him on the web at www.mikehallfishing.com.